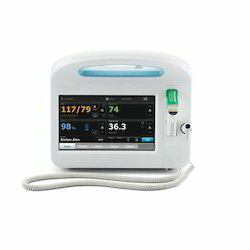 We are a leading Exporter of vital signs monitor, operating table, overbed gear table, defibrillator, bedside monitor and suction pumps from New Delhi, India. Backed by the team of experienced professionals, we are offering Vital Signs Monitor which is known for its high resolution & comes with zoom facility and a separate trend for storing reading. This monitor is stringently tested by our quality controllers against various quality parameters for ensuring its quality. 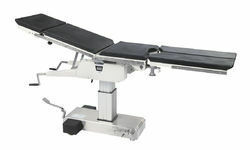 We are the prominent manufacturer and supplier of premium array of Operating Table which are widely used in various hospital, medical center and clinic. These products are well known for the durability, strength and precise dimension. Our products are available in wide range of sizes and shapes. We are offering Overbed Gear Table to our clients. Being a reputed organization in this domain, we are engaged in providing an exceptional range of Defibrillator. The offered defibrillator gives automated instructions to the rescuer & detects the electrical activity in the heart. This defibrillator has become the preferred choice of the patrons for its striking features. 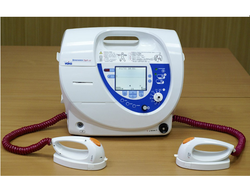 Customers can avail this defibrillator from us at market rates. Our organization is engaged in manufacturing, wholesaling, trading, importing and supplying optimum quality Bedside Monitor. 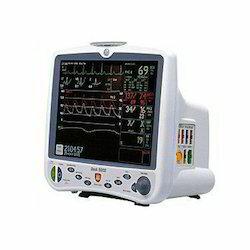 The offered monitor used in cardiac and surgical ICU. This monitor has become the preferred choice of the patrons due to its easy displaying of vital functions of the body. Customers can avail this monitor from us at market rates. By keeping track of current market growth, we are offering an excellent range of Suction Pumps. We check this suction pump in terms of quality in order to assure its quality. 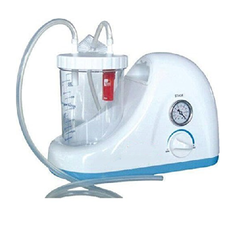 This suction pump is used in hospitals for various kinds of surgeries. In addition to this, our offered suction pump is designed from the quality material & leading techniques. 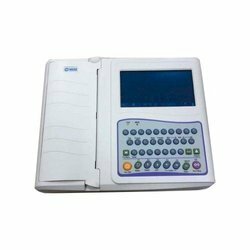 Our organization is actively engaged in manufacturing, wholesaling, trading, importing and supplying of Nidek 3 Channel ECG Machine. We check this machine in terms of quality in order to assure its quality. This machine offers automatic measurement and interpretation for ease. In addition to this, our offered machine is designed from the quality material & leading techniques. 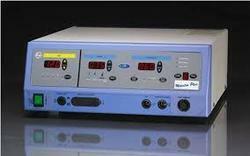 With firm commitment to quality, we are presenting for our clients a vast range of Electrosurgical Cautery. Provided with superior coagulation of blood by bipolar forceps, the offered surgical cauteries are precisely manufactured with high-grade material and latest technology. These surgical cauteries are quality tested against predefined quality parameters so as to dispatch a flawless range.